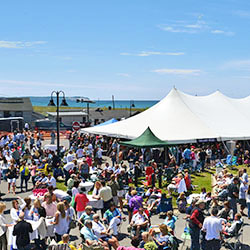 Celebrate our fantastic, local wine and food culture at the 32nd Leland Wine & Food Festival. 12 Leelanau Wineries, 1 Brewery and 8 Food Vendors – with non-stop live music, featuring The Hidden Agenda Band. Wine Fest re-entry wristbands allow you to come and go anytime during the festival – 12-6pm (Back to original time!) Ticket price includes a commemorative glass and 2 wine tasting tokens. Wristbands will be mailed out late April/early May. Join us June 10th, 2017 from 12-6pm for the 32nd Annual Leland Wine & Food Festival! Come celebrate our rich wine and food culture with 12 of the area's finest award-winning wineries, 1 local brewery and 8 food vendors - all while soaking up beautiful views of Lake Michigan and the Manitou Islands from our Leland Harbor venue. Want to explore area beaches and shops while you're here? Go for it! 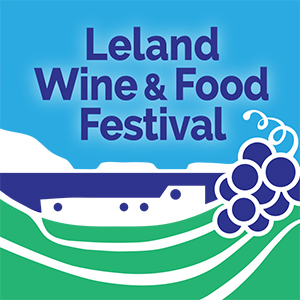 The Leland Wine and Food Festival wristband allows for unlimited re-entry throughout the day. 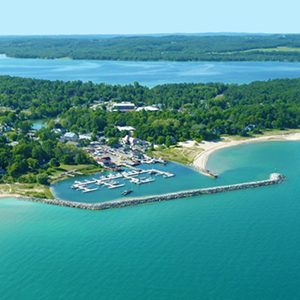 For more information about the Leland Wine and Food Festival visit lelandmi.com or follow us on Facebook, Instagram or Twitter for event updates. The 2017 Wine Fest poster features Stephanie Schlatter's Leelanau Cellars painting. The poster will be available for purchase at the festival, and at Tampico, Leelanau Books, and Good Harbor Winery in Leland, or online starting in April.